When I travel to a foreign place, I make it a point to do some research and ask around for food and sightseeing recommendations. It’s something I picked up from rif, who insists on proper planning whenever we go on holidays – this saves time and spares us from unpleasant food encounters, I feel. 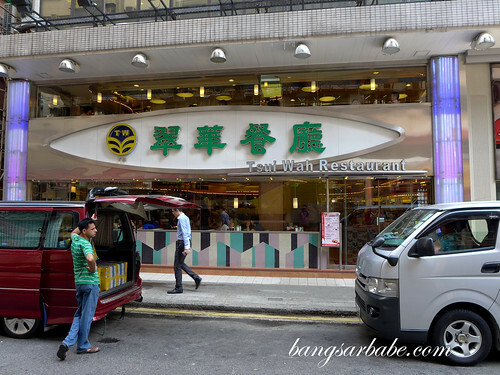 Tsui Wah is a popular char chan teng in Hong Kong, said to serve the best Hong Kong style milk tea and crispy bun. 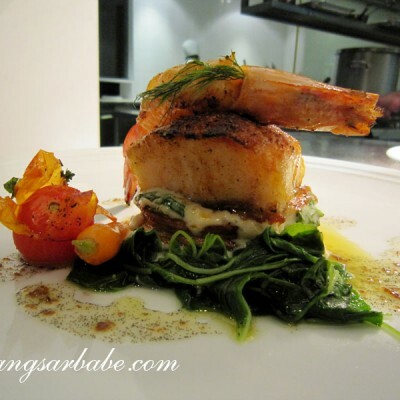 This was recommended by our friend Mei, and also based on numerous reviews on TripAdvisor and blogs. 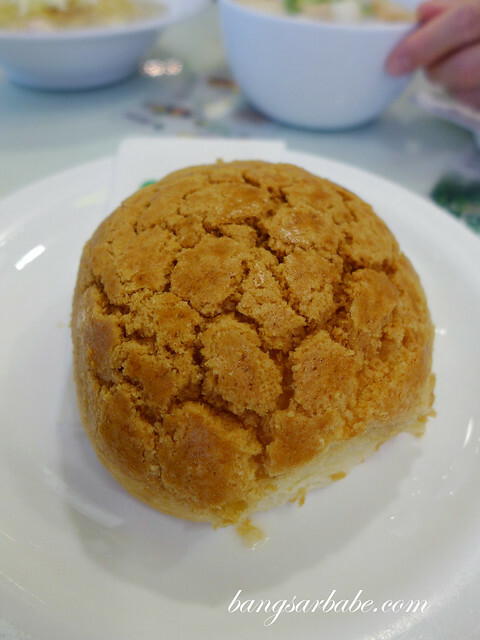 The good thing about Tsui Wah is the variety of items you can choose from the menu, ranging from soup noodles to polo bun and scrambled egg. 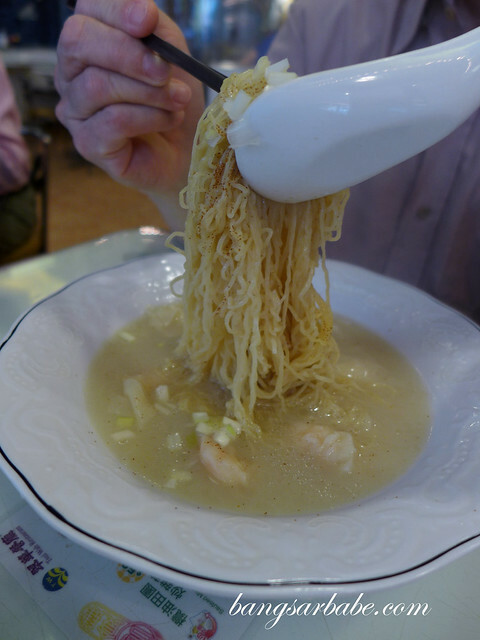 Mum had one of the best sellers – fish balls and fish cakes with flat rice noodle in fish soup (HKD33). 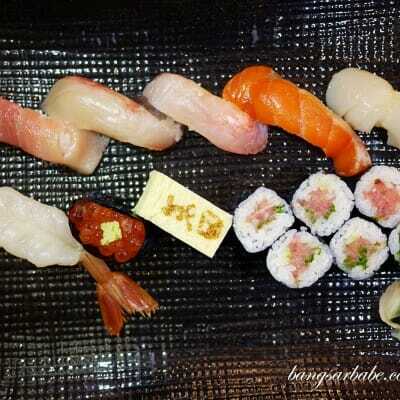 The fish balls are made daily and contain no colouring, additives or preservatives. I like that the soup is light but flavour packed from the addition of fish bones in the cooking process. My dad ordered the fresh shrimp wantan with noodles in fish soup (HKD32) and this too, was pretty good. The noodles were perfectly al dente, while the shrimps were plump and crunchy. 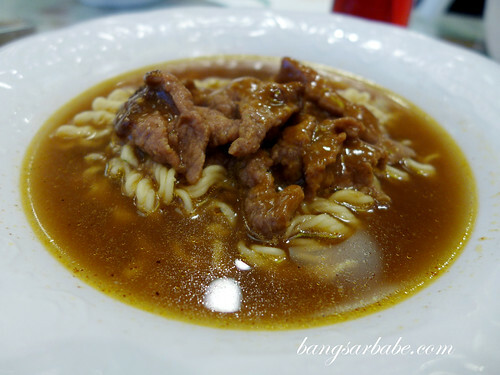 I don’t quite remember why I ordered the satay beef with instant noodle in soup (HKD31), but it was not too bad. 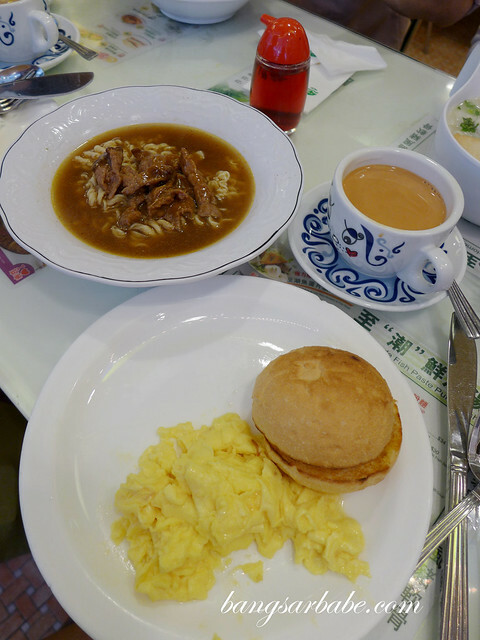 This was a breakfast set, so the noodles came with a side of scrambled egg with bun and a milk tea. The milk tea was indeed very good. 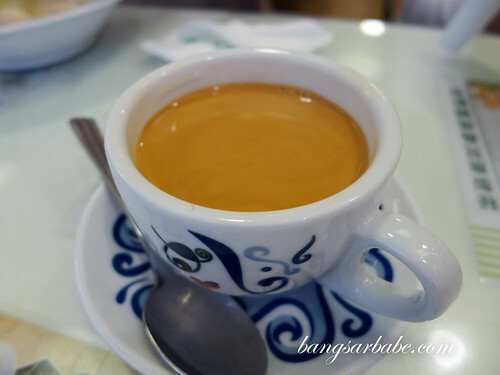 I had this without sugar to enjoy the creamy texture and flavour of the tea. I found the satay beef very interesting. 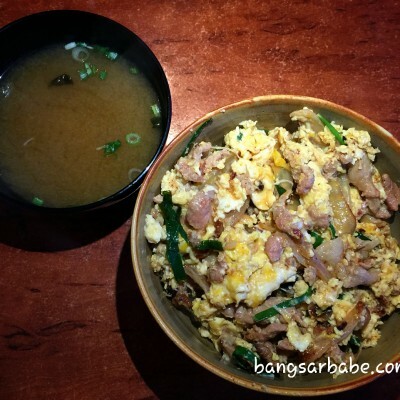 It had a strong peanut flavour but not quite spicy, and actually went well with the (instant) noodles. 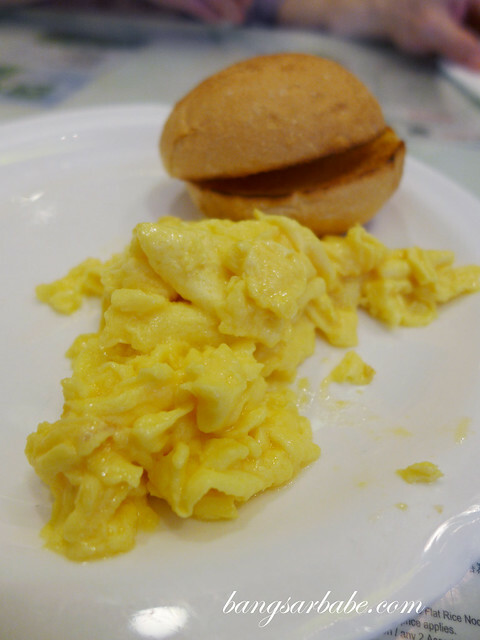 The eggs were rich and buttery, almost silken, and delicious when eaten with crispy bun. rif’s pork chop cutlet set (HKD36) is a best-seller, judging from the number of orders other diners placed at Tsui Wah. 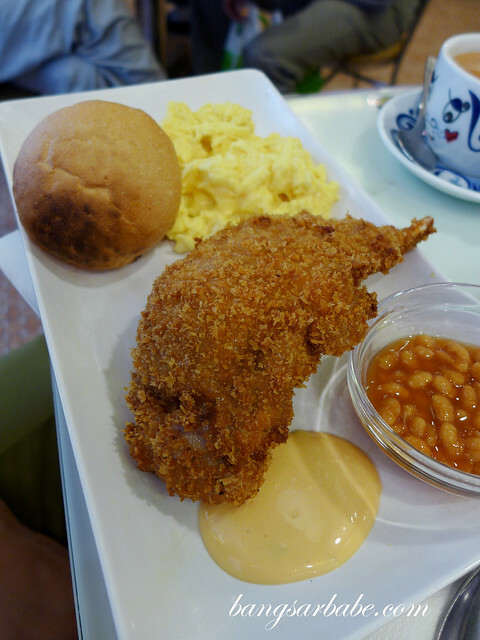 The pork chop was breaded and fried till crispy on the outside, while the centre remained juicy and tender. Good stuff! Verdict: Good soup noodles and Hong Kong style breakfast. I dined in at the same outlet too when my HK trip, I vaguely remember their menu was quite extensive and the food was satisfying!